A unique neutral grey concave viewing deck eliminates specular reflection, allowing accurate visual control of colour and quality. Proof sheets are held in place using magnets provided. 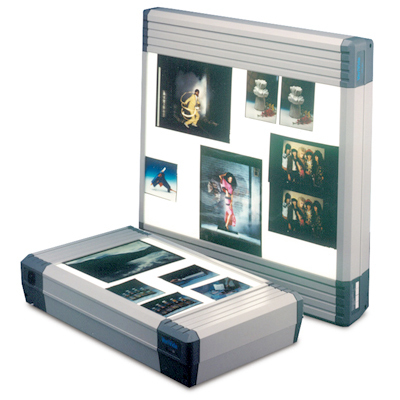 The SBS cabinets feature dual light source, for viewing transparencies and their reproductions, both incorporating a D50 light source. 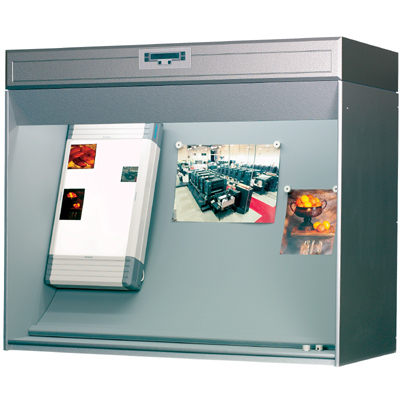 The cabinets can be used with VeriVide's Transparency Viewers, the VTV 1812 or the VTV 1824. Some applications for viewing may require additional light sources, for example, a Point of Sale illuminant such as 840P15.